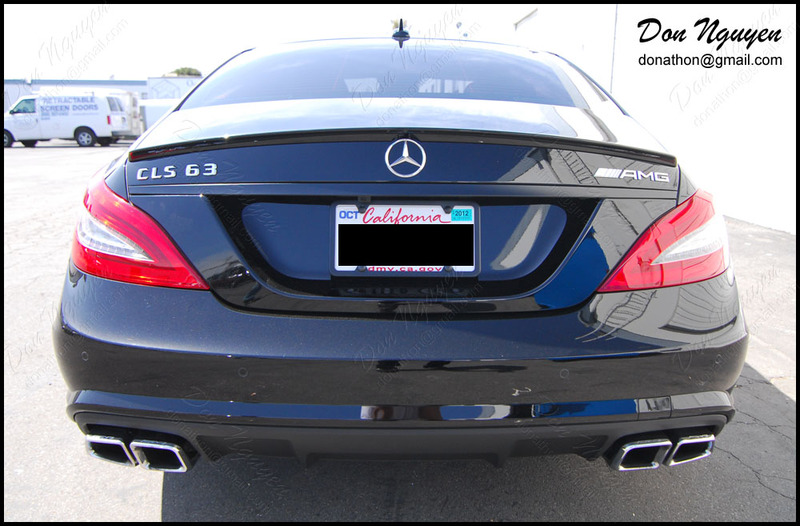 Had this new body black Mercedes Benz CLS 63 come by to have me black out the chrome / aluminum trim around the windows and back rear trunk handle chrome piece. 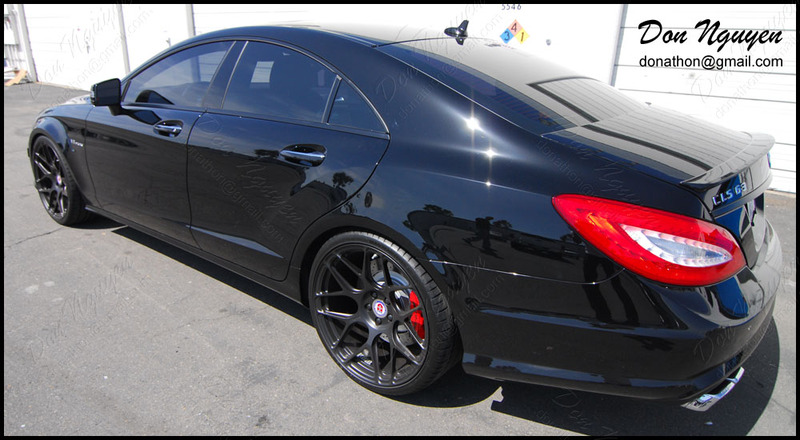 We went with matte black finish material so that the trim pieces still accented the car and did not disappear completely into the body of the car. You can notice it when I take the pictures, the trim pieces still pop out a little bit in the pictures. It gives it a nice contrast if that's what you are trying to go for. The owner of this car was also from Orange County. 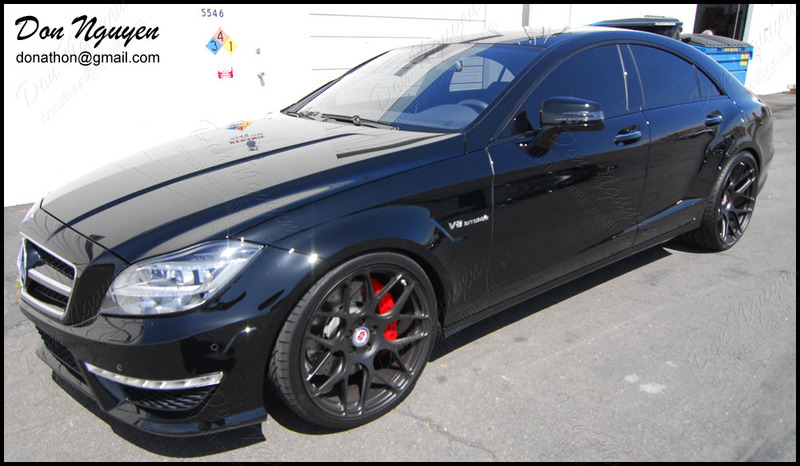 By blacking out the chrome it really makes the red calipers and other parts of the car pop more.